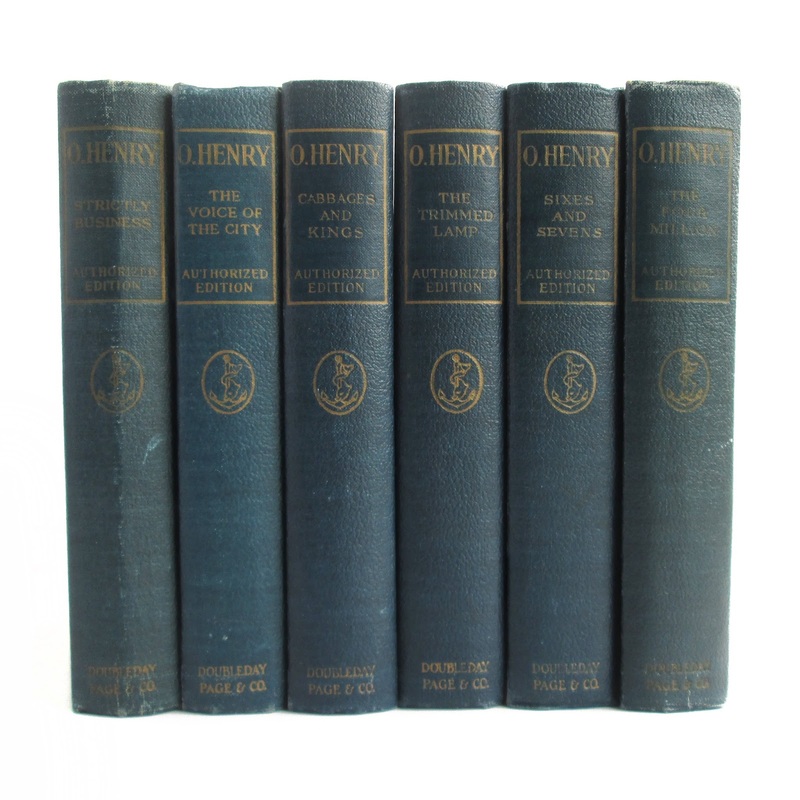 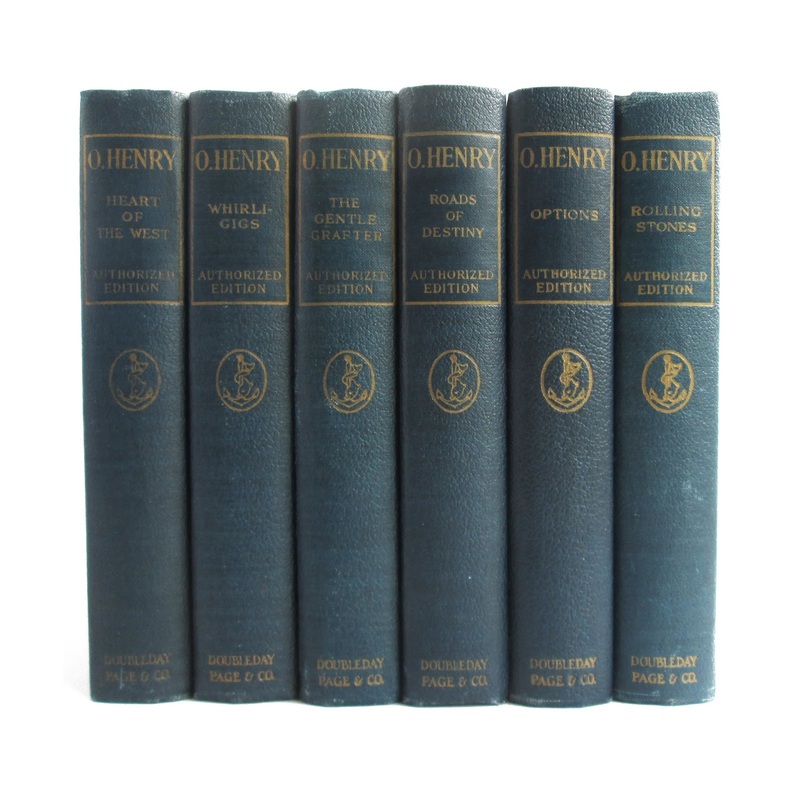 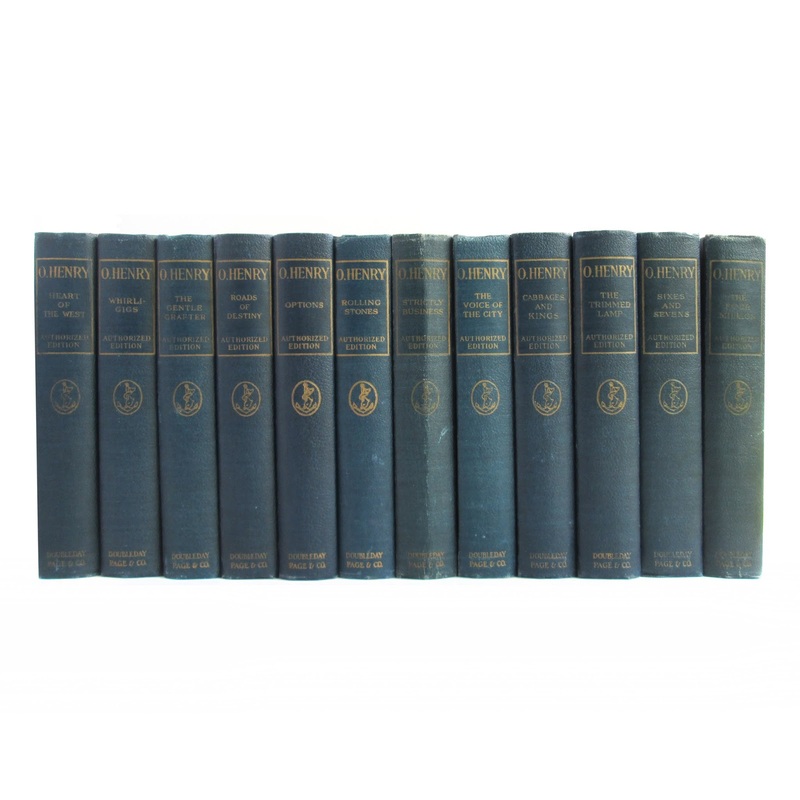 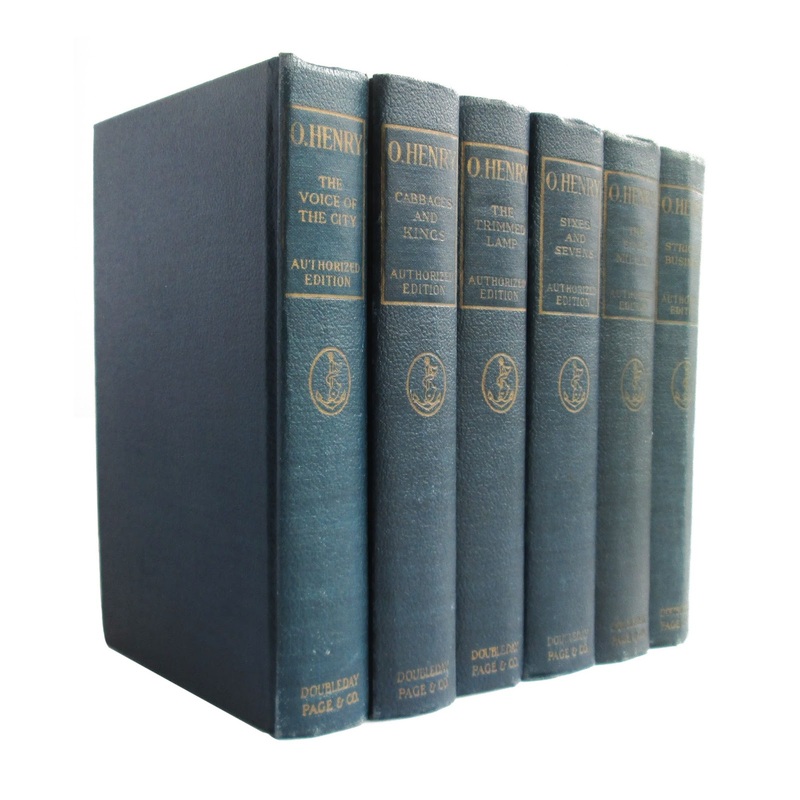 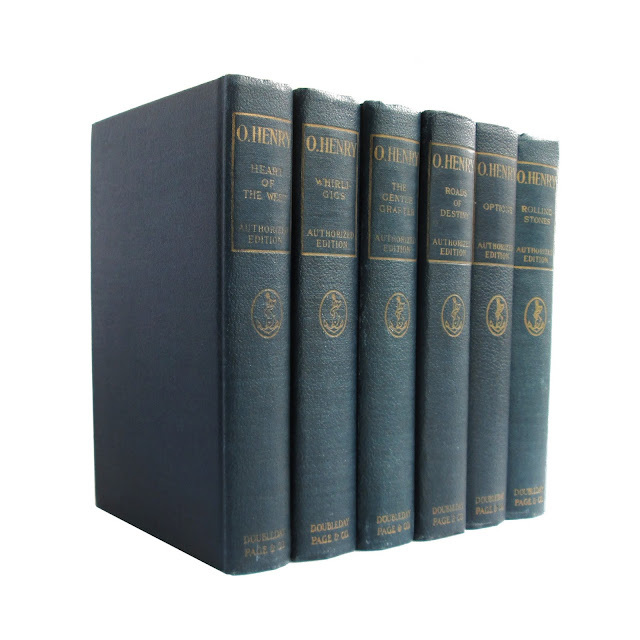 A 12 volume collection of work by O.Henry, books are in good condition with tight hinges and clean pages, light edgewear, owner's sticker and light foredge soil. 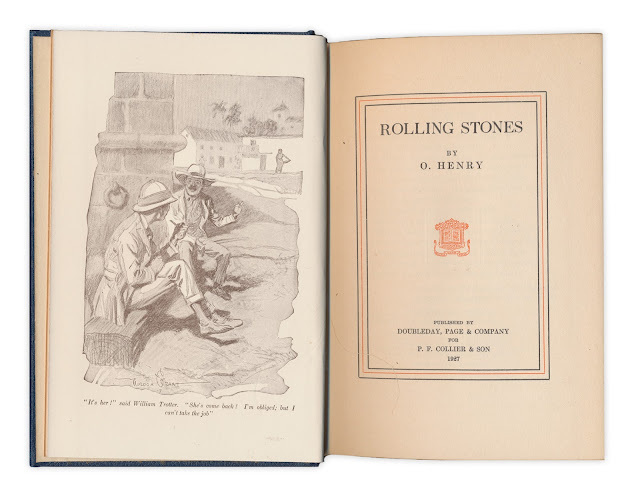 Collection includes: Sixes and Sevens, Strictly Business, Options, The Gentle Grafter, Heart of the West, Rolling Stones, The Trimmed Lamp, The Four Million, The Voice of the City, Whirligigs, Cabbages and Kings, and Roads of Destiny. Books are about 325 pages each, 7.5 x 5.